Welcome to Raleigh, the thriving capital of North Carolina! Centered in the northeast region of the state, Raleigh offers a plethora of employment opportunities and entertainment. 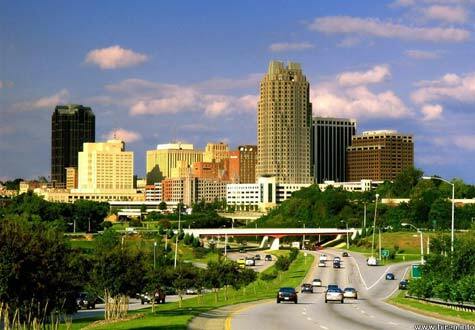 Raleigh along with the cities of Durham and Chapel Hill is commonly referred to as The Triangle because of the predominant Research Triangle Park located in the midst of the three cities. The Research Triangle Park is one of the largest and most prominent research facilities in the United States. It is home to notable companies including IBM, GlaxoSmithKline, Cisco Systems, and numerous health institutions. Other large corporations headquartered in Raleigh, NC include Capitol Broadcasting Company, Red Hat, and Carquest Auto Parts. Education opportunities are endless in Raleigh. The city is home to several major universities including North Carolina State University, Duke University, Shaw University, and University of North Carolina. If you’re looking for fun and entertainment then Raleigh has it all. Visit the Progress Energy Center for Performing Arts in downtown Raleigh that is home to the North Carolina Symphony or catch a summer concert at Walnut Creek Amphitheatre! Tour one of the many museums including the North Carolina Museum of History and the North Carolina Museum of Natural Sciences or catch a Carolina Hurricanes hockey game, Carolina Railhawks soccer game, or Carolina Mudcats baseball game!